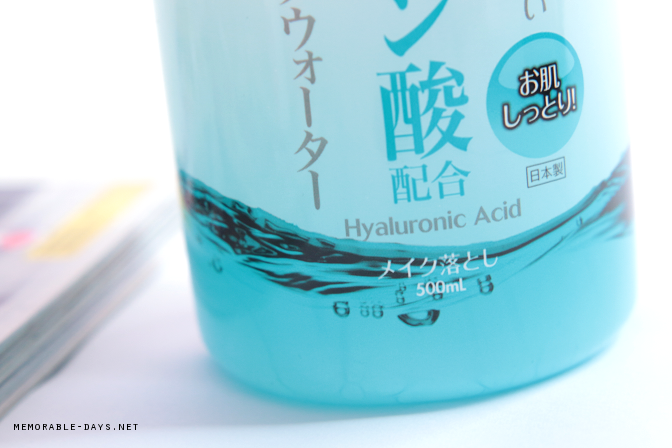 Review: Haruhada Hyaluronic Acid Cleansing Water | Memorable Days : Beauty Blog - Korean Beauty, European, American Product Reviews. 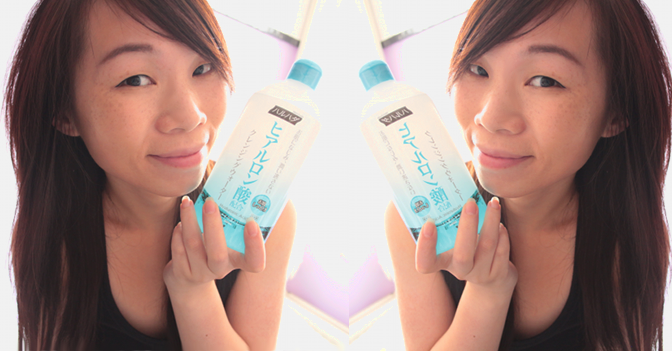 Today I'm going to review the cleansing water of the Japanese brand Haruhada - the Asian Bioderma! I know that everybody is raving about the Bioderma, but here is a product for you that seems to work the same and is less expensive! 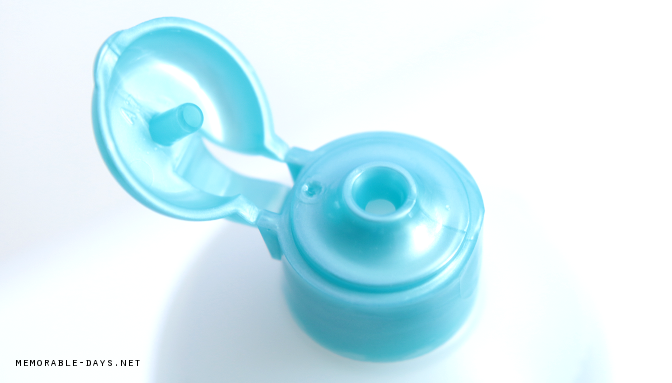 It's a very popular product in Japan at the moment. I'm not sure which one came in the market first, but I've been trying this cleansing water for 3 months or so and I have a great experience with it so far. Want to know more..? Keep on reading! This cleansing water contains hyaluronic acid and citric acid to effectively remove face and waterproof eye make-up while moisturizing and firming the skin. The fresh cleanser will not cause any burden to the face and is suitable for all skin types. Well... that's what they claim, but i don't think this is suitable for sensitive skin, since this product contains citric acid. I bought it on sasa.com (link to product) for $13.90 and there is 500ml in one bottle which is A LOT! While the Bioderma is around $25-$30 for 500ml which cost twice as much. 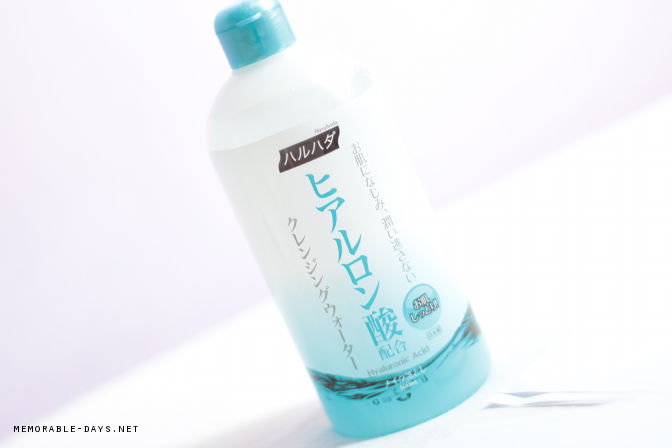 Sasa.com also offers the Haruhada collagen moisture cleansing water which is also $13.90 for 500ml (link to product). This version contains soluble collagen and malva extract instead of hyaluronic acid. I'm also very curious about this version since I heard great things about this one too! It comes in a huge blue/white plastic bottle. It has Japanese as well as English instructions on it. Just put a bit of cleansing water on a cotton pad. 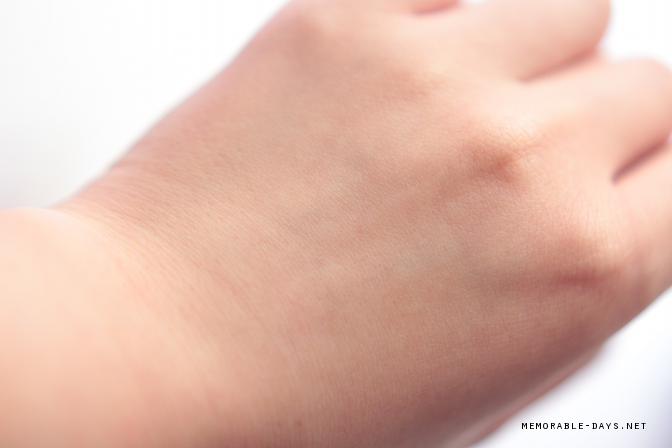 I applied lipstick, waterproof eyeliner, eyeshadow and foundation on my hand for the test. Eyeshadow and foundation came off after one wipe, but lipstick and waterproof make up took a little bit more time to remove, which is normal. All make up were gone after a few wipes, without rubbing, so it's not bad i would say :). It didn't dry out my skin, it feels fresh, firm and squeaky clean. Although i wish it would feel super moist haha. 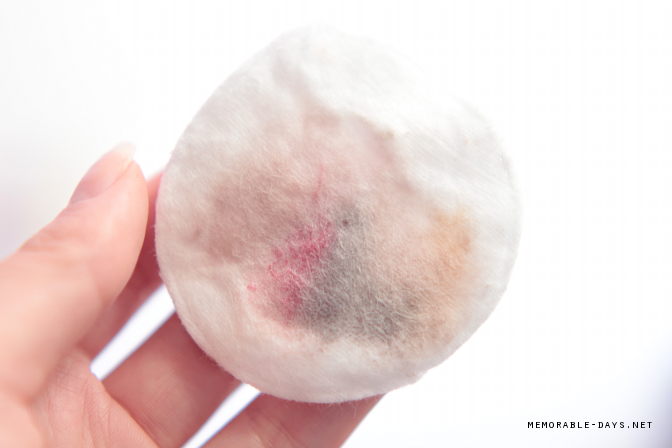 You do need to use a few cotton pads in order to remove ALL make up if you're using this on your face. Make sure to moisturize your skin after you use this. I don't only use this to clean my face. 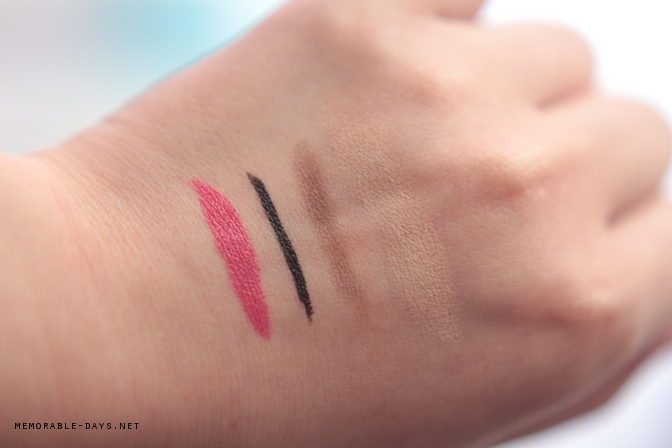 I normally remove my eye makeup with a different remover which contains oil. That doesn't mean that this cleansing water doesn't work but I just prefer a remover with oil for my eyes. Afterwards, I will clean my face with the awesome Clarisonic Mia 2. When I'm done with the Clarisonic, I usually use this cleansing water as the last step in order to clean residue of make up on my face. 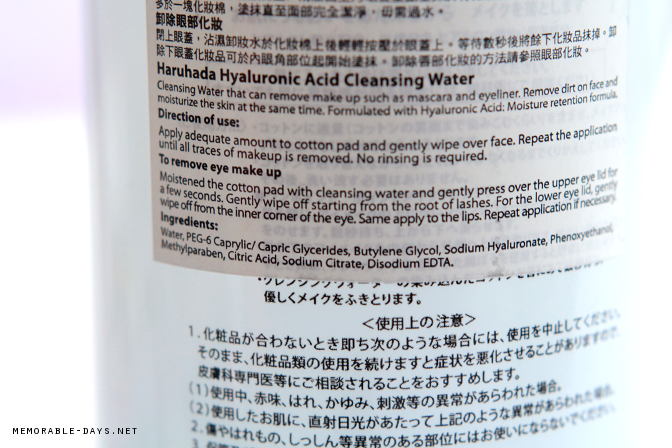 I did try to use this cleansing water on its own to remove my make up, which worked as well, but i just prefer the above method more. I haven't tried the Bioderma myself, but this product seems to work good enough for me. It doesn't dry out my skin, it feels fresh, firm and squeaky clean. I don't recommend this to people with sensitive skin though. If you have a sensitive skin, it's better to go for the Bioderma. However, if you don't have a sensitive skin, you can give this a try. It will save you a lot.